What Does a Basement or Loft Conversion Cost? This type of work can fall broadly into 2 categories, re-modelling an existing room or adding a new one, with the most expensive option being to create a completely new room – as you would expect. Converting an existing room, especially if it’s going to be used just for new storage space, could be as simple as fixing the floors, walls, ceilings and adding some form of lighting or ventilation and can be achieved on a limited budget, however, if you are going for a brand new basement or making major alterations to your roof, then be warned, because this is not cheap, can entail a lot of work and need very careful consideration & planning before doing anything. Budgeting is important if you are looking at value for money or if you are doing the work purely to increase the resale value of your property – as an indication a major UK Building Society has said that according to their data a loft conversion featuring an n en-suite Bedroom of at least 300 sq. 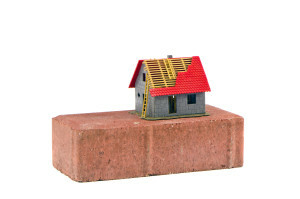 ft. can add circa 20% to the price you can ask for your house, whilst the Federation of Master Builders put it at around 15%. When setting aside the money to pay for the work, it is advisable to have at least an extra 5% as a contingency fund to allow for unplanned or unexpected expenses. Typical Basement & Loft Conversion Prices. The information given below is purely a guide for your convenience. The prices shown are representative and should only be viewed as a rough idea of what costs you are likely to encounter. These prices are not to be taken as an offer to buy or sell and the actual amount to convert your home could be very different in that it could be higher or lower than those shown (& depend upon the quality of the work you want to be done). 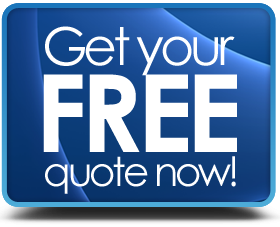 Always get written quotes from a number of independent contractors or companies - use installers that have recognised trade accreditation from an appropriate trade organisation. A simple conversion of an existing room will cost about the same as a decent loft room, however, it is very difficult to specify a cost for building a brand new room here because of the complex nature of the work, but what you can expect to pay to create a new basement or cellar room will vary from contractor to contractor and be impacted by where you live. The most common figures that can be found are between £800 to £1,200 per cubic metre of space (Surrey & London Basement Company Ltd) or more often you can get a starting estimate of around £2,000 to £3,000 per square foot of floor space from many other contractors. Whatever you do, use a company that has experience in building new basement rooms as this is not a task to be taken lightly, given that you will be excavating the ground under your house foundations. Find out more about the cost of extending your home.